This is all I can guess. I have no idea what this is. This was one of the newly released ones. Little fuzzy. *^^* If anyone knows what this is let me know. 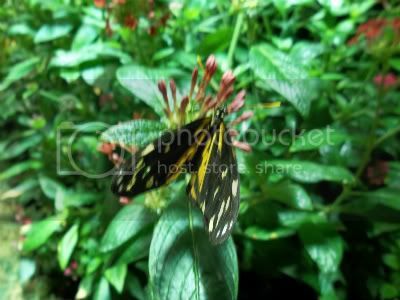 Taken at the NHM Butterfly Exhibit 11-05-2011. Sorry I just confirmed it is Euides isabella. Or one of its subspecies anyway. That's what I was thinking too! Goodness there's so many similar patterned species! 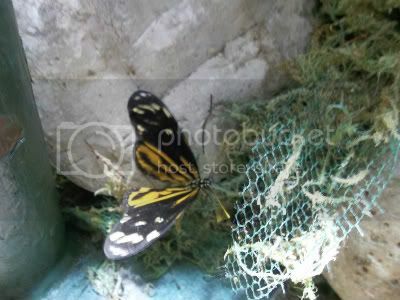 >_< I have a Mechanitis too that I want (if possible) down to species. Good Lord I need a book. Out With a Bang + Crittercams!